Warewolf’s quick quantity feature speeds up picking and packing where many products of the same SKU are required for a goods out note or delivery. In this example we use a goods out note pack list to illustrate your options for changing quantities using the quick quantity feature. We join this pack with 24 blue water bottles having been packed already. Before we do that, here is a reminder of how to change quantities in pick, pack, receive and stock take scanning screens. For a few barcoded products within goods out note, scan the barcode and Warewolf will find the product and add one to the total so far. If you are not using a barcode scanner (or you have a damaged barcode or your battery is flat), tap the plus button for the product. If your pack list is very long, search for the product by typing the barcode into the barcode box. Warewolf will give you a list of relevant products as you type. Alternatively search by product name. In both cases you can type any part of the name or barcode to get a relevant list from Warewolf. Now, if the pack list has several of the same product, multiple scanning of the same barcode is at best tedious and wastes time. You will know that if you have used a supermarket self-service checkout. If you scan a product that has more than 1 in the list, Warewolf will open the quick quantity feature. To provide full keyboard support, you can open the quick quantity feature by tapping the blue square with a > symbol for the relevant product. 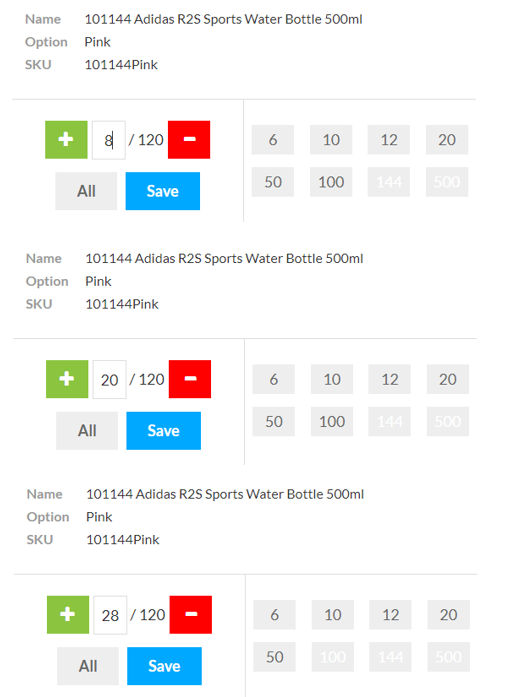 Going back to our example, the quick quantity feature is now open for the pink water bottle. Note that barcode scanning is not permitted in this popup. The product name, option values, SKU and loaction (for pick screens) is shown at the top. In the example, we need 120 water bottles. On the right there are quick quantity buttons which allow you to add the number on the button to the running total. Note that buttons for 144 and 500 are inactive as we need 120. This feature is particularly useful where your products are packaged in ‘outers’. For example, you could pack outers of 12 by tapping 12. Each time, 12 will be added to the running total. Warewolf won’t let you save more than the required quantity. You can tap save and come back to this product later if you like. Warewolf allows you to overwrite the value shown in the running total box. You may want to read this section again because the action is powerful but not as intuitive as the rest of Warewolf. Continuing with our example, 12 have been packed so far. Let’s say that outer quantities are 8 (and not 12 in the previous paragraph). Overwrite the value 12 in the running total box with 8 then tap enter. Then tap the plus button. 8 will be added to the 12 making 20. Tap plus again and the quantity increase to 28 and so on. 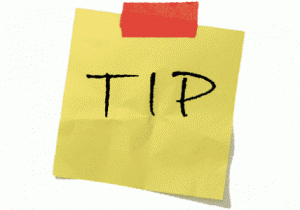 Warewolf stores the overwrite value (8 in the example) whilst the quick quantities feature popup is open. That means that every time you tap the plus or minus buttons, 8 will be added or subtracted from the total. Warewolf mirrors the popup quantities in the pack screen behind the popup but you need to tap save to make the update permanent.